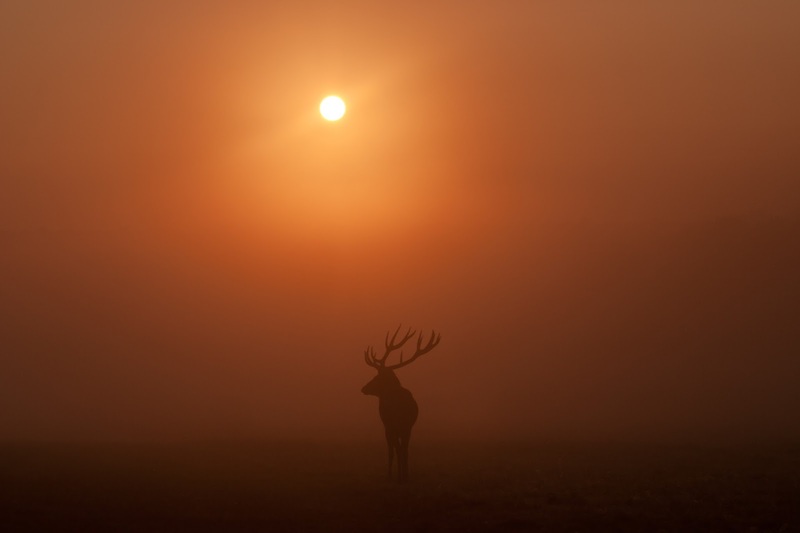 We've just announced the winner of our April Calendar Photography Competition - Zsolt Berend won with this gorgeous image of a Red Deer Stag on a misty sunrise morning, it captured our imagination and demonstrated excellent photographic skill. Zsolt Berend won an amazing Olympus PEN E-PL8 mirrorless camera + lens kit worth over £500 and will be featured as our 'April' image in our 2018 charity photography calendar. We've now had four months of winners and prizes in our first annual Calendar Photography Competition, with a new prize of a Fujifilm X-A10 mirrorless camera and lens kit announced as the prize for May. With that in mind, we wanted to give everyone a bit of help... by telling you exactly how you can win one of the remaining 8 monthly prizes this year! The winning images so far this year have had a number of common traits - things we're looking for that make these images stand out from the rest. Here is a mixture of what we're looking for in competition winning images and some general advice on how to get the best image you can. We're looking for the best in this competition, which means the wining image must demonstrate a level of technical expertise that is consistent with a competition winning image. The image should be in sharp focus, with the focal point being on the subject matter - if the image is out of focus it would stand out against an image that is pin-sharp. 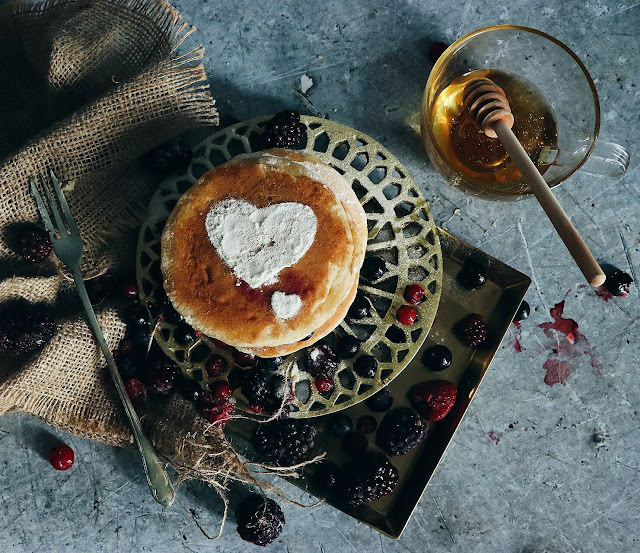 February's winning image from Ashanti Jason shows how a still life should be absolutely pin-sharp in focus. This is even more important if you're using a wide-open aperture, where any variance in the focal point will be made much more obvious. A winning image will also be blur-free, unless it's part of the image - for example car light trails, or some other form of movement. This means that if you're shooting a still life or macro image or astrophotography image, you should be using a tripod with a shutter delay or remote shutter release to ensure your final photo is as sharp and steady as possible. There are times that an over-exposure or under-exposure can be used to create a dramatic or compelling image; however, for the most part these extremes should be avoided. We're looking for images that are well-exposed. There should be little or no hot-spots of over-exposure and the image shouldn't be overly dark (unless it's an astrophotography image!). Your image should have a consistent exposure throughout, and if there are any dark or over exposed areas they shouldn't be too obvious or distracting. There are numerous 'rules' around composition that most photographers are likely to have come across - the Rule of Thirds, Diagonals, Leading Lines, etc, and while it's sometimes brave and borderline genius to break the rules, for the most part we're looking for images that are well composed and show an awareness of at least one established standard of photography. The Rule of Thirds - split your image into an imaginary grid of 9 equal parts, aim for your horizon to be on the bottom horizontal line and for vertical elements to line up with the two vertical lines. Diagonals - particularly impressive for architectural photography but can also be used elsewhere, using diagonals that fall across your frame to a point of convergence can create a visually interesting image. Leading Lines - this is where you use a line within your image to guide the viewers eye into or across your image. Leading lines could be a river, a road, a path, or any other form of visual line that adds a compelling dimension to your photo - remember that they can be straight or curved. Patterns and Textures - nature is full of patterns textures, and there are plenty of man made patterns and textures that you can use to make your image really interesting. Try playing around with various textures and move around until you find an interesting angle. There are 20 tips for composition techniques in this absolutely excellent article over on PetaPixel. Normally, the advice for entering competitions with a particular theme would be to avoid being cliche - however, this competition is a little different. The theme each month is the month we're in - so by all means enter an image that is as absolutely cliche as can be! Having said that, you should avoid being cheesy or boring - be original! We're looking for images that make us stop and take notice. 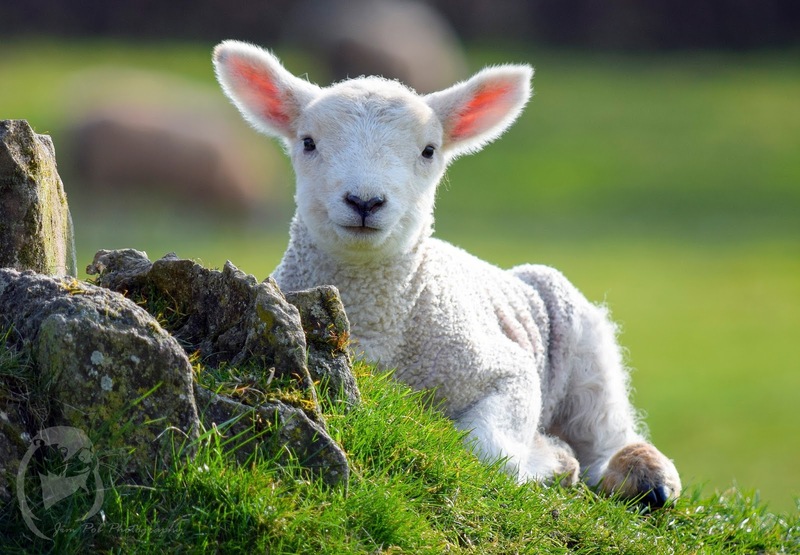 For example, the winning photo for March was a beautiful smiling baby lamb photographed by Jim Poberezniuk. A lamb may seem like a cliche thing to photograph for the beginning of Spring - and it absolutely was, but the combination of the technical excellence of the image and the composition meant that it perfectly fit the bill of what we're looking for. Try to be as original as possible in your image making - take an ordinary subject and find a unique or compelling way to make it your own or to show it in a different way. Be aware that this competition is about the months of the year so we are looking for images that will be able to look at for a month when their 2018 calendar is hanging on their fridge door. Image editing can be a very subjective pursuit - one person's tastes are unlikely to be the same as another person's tastes. For this competition we want to see images that are tastefully edited - that means they haven't been over edited with garish colours added, or the contrast boosted so the original image is virtually unrecognisable, or cheesy or out-dated filters added (think 80's studio glamour shots here), or edited so much that they've been taken too far away from the original image. Editing an image using Adobe Photoshop (or other programs) can be a fantastic way to add emotion to your image, or to highlight certain areas, and to hide others. Editing can be used to add balance to your image and enhance the natural colours so the image is striking - this is especially important if you're shooting in RAW. 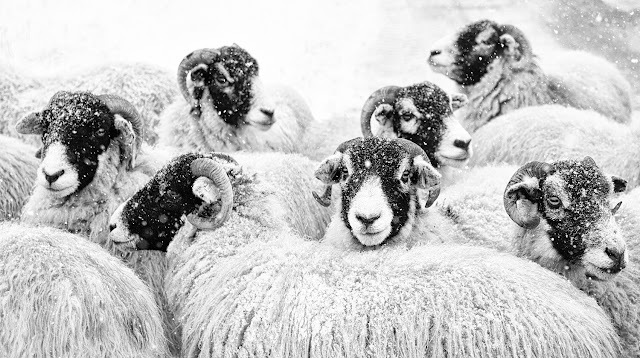 Our January winning image by Janet Borden has had some editing done to it - it's been cropped from its original size, converted to black and white, and has had the contrast altered - but this is an image that represents the stormy, snowy and cold month of January - so the level of image editing here was absolutely appropriate to the type of image Janet submitted. The photography community here in the UK is a fantastic, vibrant, sociable and encouraging community that's full of everyone from photographers who have just bought their first DSLR and are just taking their first steps - testing and trying things out, to seasoned professionals who have been around for years or are otherwise very experienced in their area of interest. If you're wondering whether your photo is any good, or if it's the best image you can make, one of the best things you can do is stop looking at it. Step away from the monitor and make a cup of tea, and leave your photo for a while - then come back to it. If you're still unsure or wondering whether it's a competition winning image, it's always a fantastic idea to consult your community of fellow photographers - whether they're friends who live nearby or at your local Camera Club, or in one of the many excellent Facebook photography groups - asking others to critique your image can identify areas you might need to improve. Facebook and other social networking sites such as Twitter, Flickr, or 500px have established photographic communities and groups where you can ask for help and get a second opinion on your image. How do you create a story with a single image? Well, you tell a part of it. Creating a compelling image that forms part of a story is one of the greatest skills of a photographer. It's a trait of the best in the world, from fashion photographers, to war photographer to documentary photographers - being able to convey feelings and emotions in a single image that leaves the viewer questioning the image. Your image might be the end, the beginning, or the middle of a story - create that imaginary story in your head and consider it when shooting the image. Ask yourself what are you trying to portray with this photo - what do you want the viewer to feel or think? If you're able to convey a story in your image, it's sure to be a winning image in our calendar photography competition. We hope this article has been useful and you've got some good ideas - we look forward to seeing your images over on the competition page.